You can easily add an image and/or a checkbox to the RadListBox item. Set the CheckBoxes property of RadListBox to True. This will add a checkbox on the left of every list item. You can use the Checked property (True or False) of the list item to change its checked state. Use the Checkable property of the item if you need to hide the checkbox of that item. 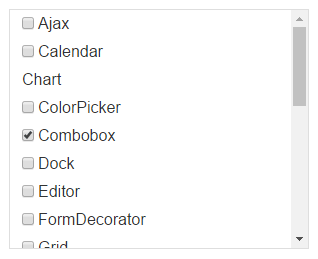 From Q3 2013 you can use a CheckAll checkbox functionality in RadListBox. 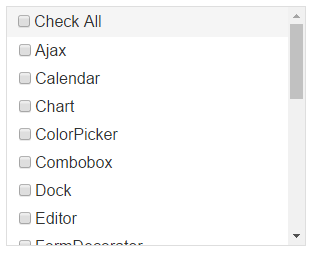 You can set the ShowCheckAll property of RadListBox to True and if the CheckBoxes is also set to true the CheckAll checkbox will be shown at the top of all other items of RadListBox. It allows checking or unchecking all the items with a single click. Set the ImageUrl property of the list items to the path to the image. 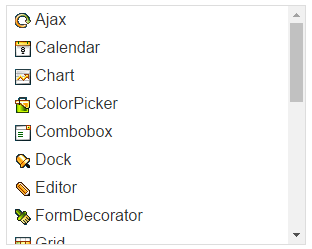 Leave the property blank to have the item with no image.